Several friends thought I was crazy seeking out a therapist for my three-year-old. I did too as I considered and reconsidered the idea. But what was I supposed to do? Things, regarding Oliver, have not felt right to me, or to Brian. To friends and some family, Oliver seems like a normal happy little boy. And usually he is. But when he's not (particularly at night or being left), he seems irrationally panicked and anxious. 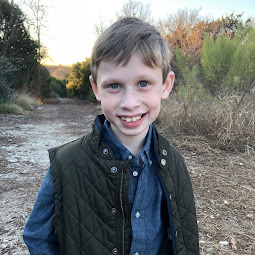 Ultimately, I thought, if I reach out and get therapy for Oliver and the therapist says, "Your child is normal," then I walk away satisfied that all is well and things will improve on their own. However, if the therapist says, "yes, something is wrong," then I walk away knowing I've found a way to deal with Oliver's issues early. The last thing I want to do is find out when Oliver is older, that I could have done something to help him alot earlier. The therapist called me about a week after our initial interview. She said, "we think he is a classic case of Separation Anxiety Disorder." She said, "well, everything you are telling me - inappropriate/excessive anxiety about being separated from the caregiver, nightmares, fearful of sleeping alone or away from caregiver, fear being alone without caregiver in different settings - all things that cause significant impairment in the child’s ability to function - these are classic signs of Separation Anxiety Disorder." I breathed a sigh of relief...ah, to have a name for all of the things we have been struggling with Oliver over. I asked her, "why do you think he's dealing with this?" She said, "well, there is nothing you or your husband could have done to have avoided this. I think it was the combination of the move (we moved just months before Bennett was born), a new baby in the family, mom and dad being gone and stressed after the baby was born and a chronically ill sibling who still has significant ongoing needs. Of course, these are the stresses that may have just added to a propensity towards anxiety as you mentioned runs in Oliver's family." "So, what does this mean? Can we fix this?" I asked. She said that it was definitely something we could work on in play therapy. She asked us to come once a week where she will work with Oliver and me together and work some with just Oliver and her. Ultimately, the goal is to observe his play to understand his feelings (how one does this, I have no idea!?) and to begin to give him reassurance through play. 2.) it's best not to underestimate the impact the ongoing stress of Bennett's situation and how it may continue to affect Oliver over time. Tears well up within me as I think about Oliver's almost constant question to me throughout the day these days, "You laughing, Momma?" It's his way of asking, "Are you happy, Mom?" as though he's taking my emotional temperature. Maybe what he's really asking me is, "Is everything ok, Mom? Is everything going to be alright?" I always reassure him I am "laughing" (aka smiling) but now I feel I can start to really pay attention to these moments and appreciate what he is really wanting to hear. Ultimately, he not asking about me. He's asking about him. Parenting is hard. So many moments can fly by before you have the insight to see how you might have better handled a situation. Realizing something really is going on with Oliver makes me regret the frustration I have felt towards him regarding his waking up in the middle of the night, his throwing tantrums before going into the church nursery, his unwillingness to go with the other kids and play. Now I realize, these tantrums were his way of telling me something is wrong. I just wish I could have understood this sooner. I don't necessarily feel like we could have done anything better or different surrounding Bennett's birth. All of it was a surprise, so we flew by the seat of our pants. But how more valuable this might have been 6 months ago. Unfortuantely, in the same way your Baby doesn't come with an instruction book, neither does your "Special Needs Baby." But it does remind me of the value of having experts help me along with process with Oliver beyond just the present. I believe counseling is for healthy people, not sick people. So, I want to put Oliver in therapy regaruly - in order to help me check in on him and how he's coping. 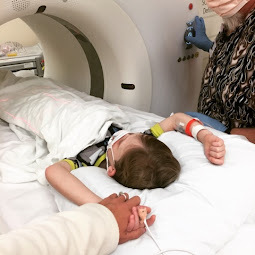 And eventually, when Bennett gets a bit older, we will do the same for him as he will have his own needs to deal with, as he learns how to cope with his chronic disease. 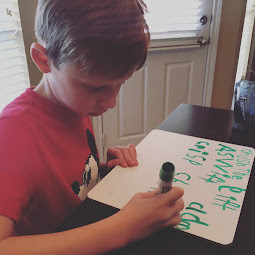 I apologize I wrote that the title of my post as "How CF Has Affected Oliver." I probably should have written, "How Oliver is Coping." The truth is, Oliver is coping to the best of his ability. And we are bringing experts to come along side him to help him cope even better. While I wish Oliver didn't have to deal with CF, any more than I wish Bennett did, I believe that, given enough support, Oliver will emerge a better person having been Bennett's brother than he might have otherwise if Bennett didn't have CF. Cystic Fibrosis brings with it lessons of patience, forgiveness, selflessness and humility. Bennett has been given a personal story of God's faithfulness, love and suffering. Therefore, I believe that no one will know better that story (outside of Bennett, himself) than big brother Oliver. How blessed Oliver is and will be as Bennett's brother. And how blessed Bennett is to have a brother like Oliver. Wow that brought tears to my eyes. It is so profound how CF affects us all to the core-emotionally really. Keep strong- your a great mom. Both boys are so blessed to you call you mom. Hang in there friend as you seem to face one thing after another - you are being carried by prayers and our heavenly Father who can do a better job than anyone. I know it's not the same thing, but we had major issues with Anna from about 6 months until age 3 of separation anxiety. Like I said, your situation is different, but I can remember those days of leaving her in the nursery screaming for me - not fun! I agree with Sandy's post - both boys are BLESSED to call you mom! Such a beautiful post! 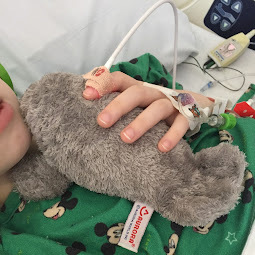 Having my first born with CF I have often wondered how it would affect both her and future children I hope to have. I really applaud you for being proactive with both your boys and taking measures to assure their happiness. CF is so complex and rocked my world, I can only imagine how Ayla will feel when she really understands what CF really means. I hope to handle that as well as you have with your Blesses Little Ones....Hats off to you! In my 34 years as a Special Educator, I have seen many examples of how having a special needs child in the family affects parents and siblings. You are very wise to take steps now to help Oliver cope with things he doesn't yet have the vocabulary to express. You'll be amazed at what you will learn through play therapy. Children can vent their frustrations and voice their fears through play. You might want to talk to Kara to get her perspective on having a brother with CF. Rest in the knowledge that you and Brian are doing everything you can to ensure that your boys grow up healthy and well adjusted. The coping skills Oliver is learning now will help him all the way through his life's journey. wow! what a powerful story. I am praying for all of you.